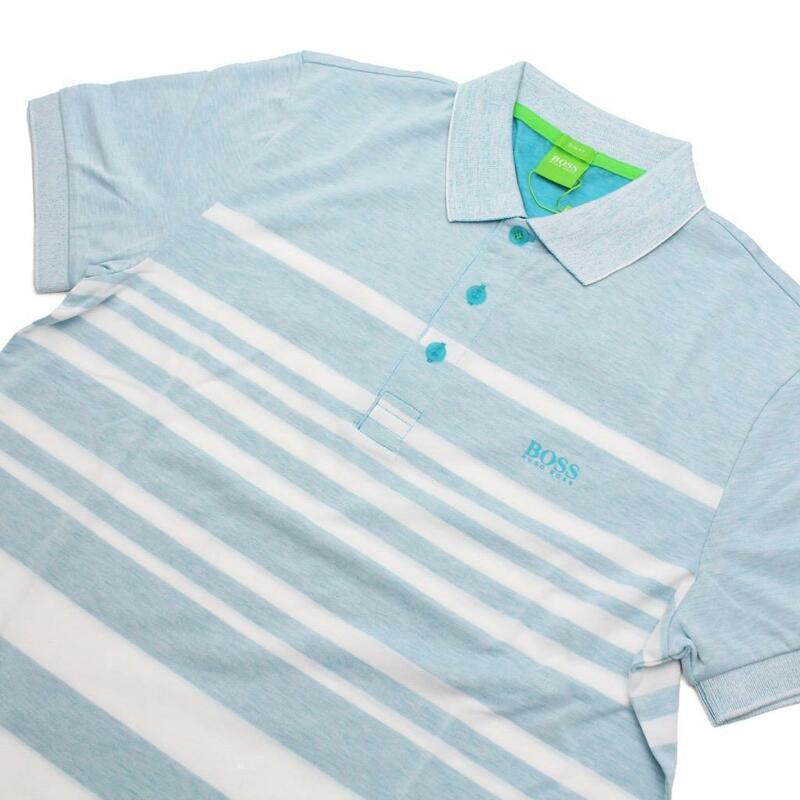 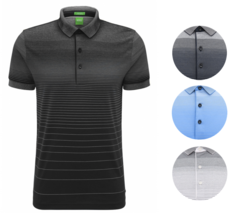 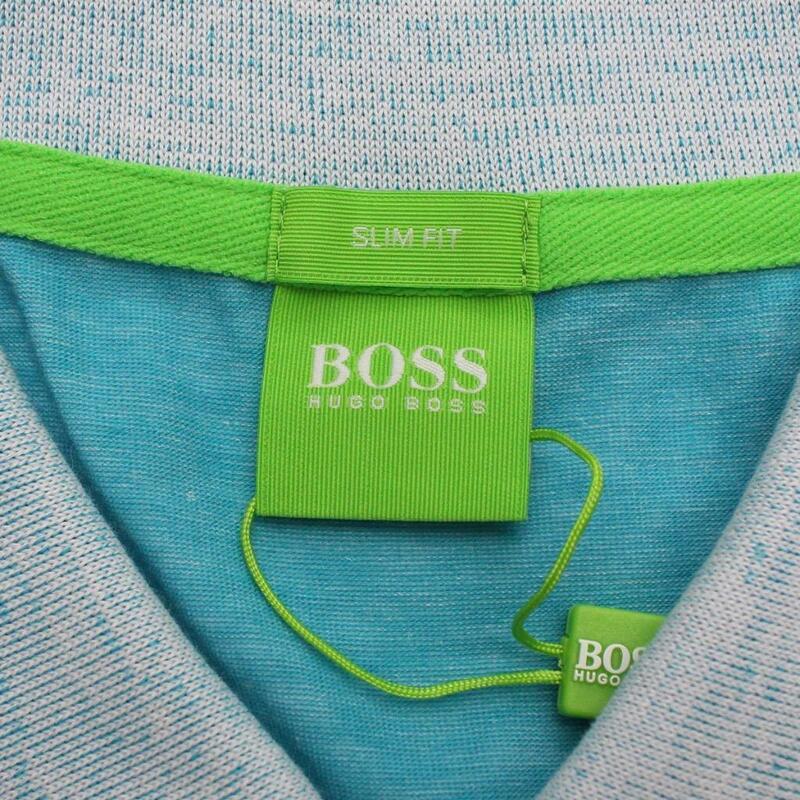 The cotton used for this BOSS Green polo is mercerized, which strengthens the fabric and gives it a semi-lustrous appearance for a polished look. 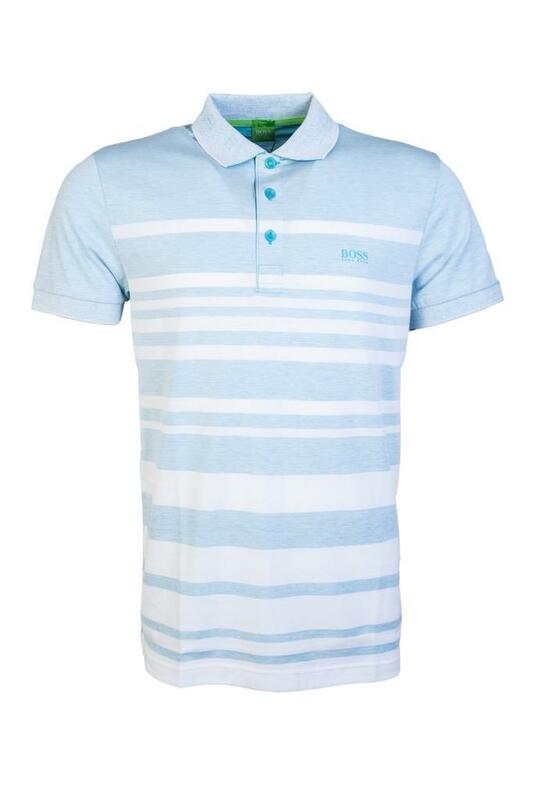 Solid-coloured and mottled stripes turn this BOSS Green polo shirt into a casual must-have. 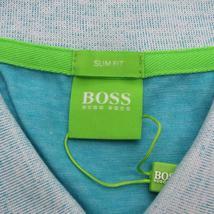 Its slim fit and soft cotton jersey ensure a superb wearing experience. 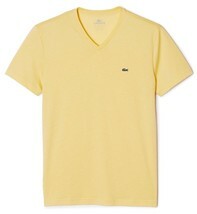 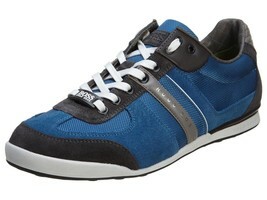 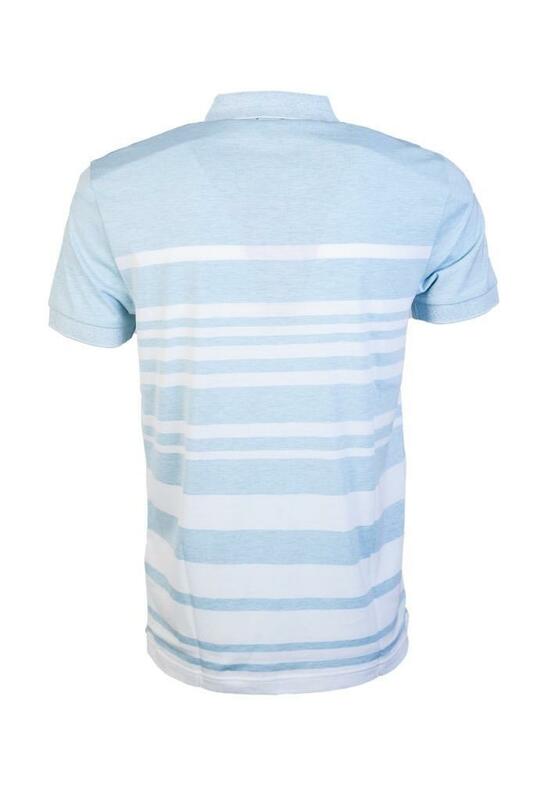 This men’s polo shirt gives your wardrobe sports appeal in a very relaxed way.